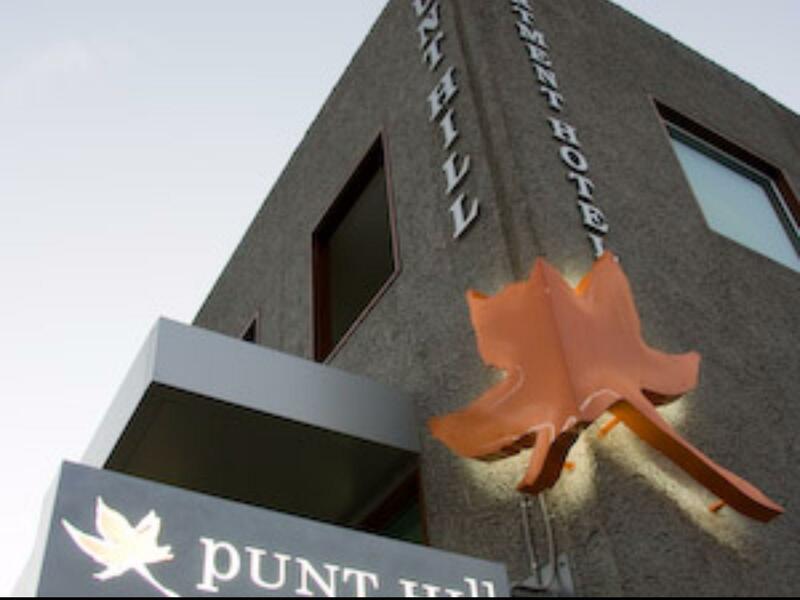 الخيار الأفضل للحصول على المتعة والاسترخاء, Punthill Apartment Hotels Williamstown يقع في منطقة ويليام ستون في ملبورن. يمكن من هنا للضيوف الاستمتاع بسهولة الوصول إلى كل ما تقدمه هذه المدينة النابضة بالحياة. يشكل هذا الفندق ملاذاَ مريحاً للاسترخاء ويمنح زواره فرصة للاستجمام والتجدد، وهو يقع على بعد خطوات من المعالم السياحية الكثيرة للمدينة كمثل: جيم بير, ‪Williamstown‬, بوينت جيلبراند بارك. إن حسن الضيافة والخدمات الراقية التي تعرف بها Punthill Apartment Hotels تغني تجربتك في Punthill Apartment Hotels Williamstown. يقدم الفندق مجهز لذوي الإحتياجات الخاصة, مرافق مخصصة لذوي الاحتياجات الخاصة, تخزين الأمتعة, واي فاي في المناطق العامة, صف السيارات لضمان الراحة القصوى لضيوفه. في Punthill Apartment Hotels Williamstown غرف نوم يزيد عددها عن 42 صممت بذوق وعناية لتوفر لك كل وسائل الراحة . بعضها يحتوي أضاً على تلفزيون بشاشة مسطحة, غرف لغير المدخنين, مكيف هواء, تدفئة, خدمة الإيقاظ. صممت خدمات الاستجمام في الفندق والتي تتضمن مركز للياقة البدنية, سبا لمساعدتك على الاسترخاء والراحة. إن Punthill Apartment Hotels Williamstown هو خيار ذكي بالنسبة للمسافرين إلى ملبورن، بما يوفره من إقامة هادئة ومرحة. The location of these apartments couldn't be better. We've stayed here before and decided to stay for New Year's Eve this time. 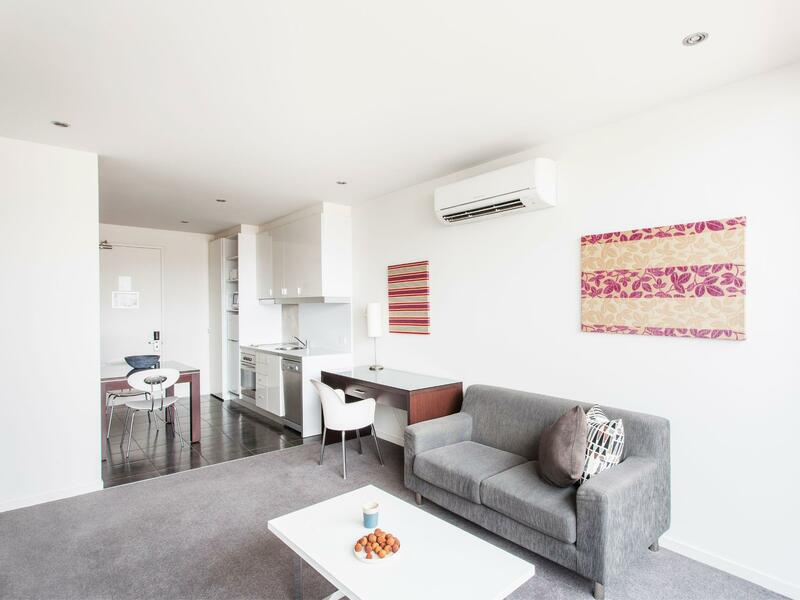 The downsides of these apartments is the lack of air-con in the bedrooms; there is only air-con in the lounge area, and there isn't a view of anything from some of the apartments. There was also a power outage in the block for a couple of hours on NYE, which put a bit of a dampener on or plans, but we made the best of it. We would stay here again but at a time when the price isn't at a premium. All in all, great accommodation but the rooms could do with a bit of updating. Great location near the mariner and cafe's and other shopping. 20 minutes on the train to Melbourne. Nearby station. Out of the hustle of Melbourne. Situated near the waterfront and shops was very handy. The room was very comfortable with a good bed. The shower is in the bath which was ok for us but not for someone elderly or with hip or knee problems. We thought the breakfast was included in our price but were billed for it at the end of our stay. It was expensive as we only had tea coffee and toast and were charged $15pp. Had a fab short stay at Punthill. Arrived early but got checked in straightaway anyway.. Reception staff were very friendly and helpful. Lovely apartments in a really good location. Will definitely stay again. .
Comfy bed, clean nice modern bathroom, nice kitchen, comfy sofa! Great stay,clean and serviced every day. 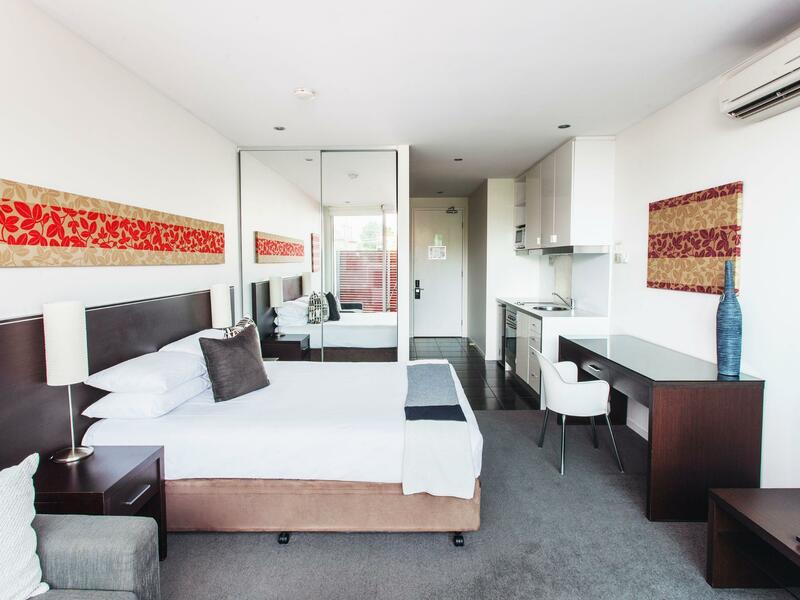 Walking distance to ferry pier, restaurants and shops including Coles supermarket. Rooftop spa pool with view of the bay. Basic gym on ground level. Well equip single bedroom apartment with washing machine and dryer. The only negative, room has cigarette smell because they allow smoking on the balcony. 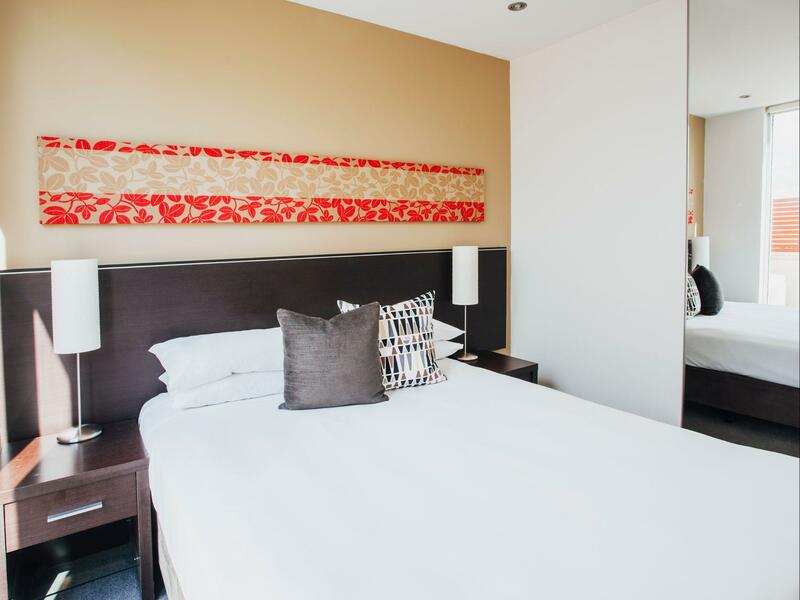 Very large, well furnished and modern room, very clean and comfortable bedding, kitchen well equipped, washing machine and dryer available in room. Parking available right in doorstep of apartment! Given short notice for our booking, we expected the apartments to be a little expensive. They were, but were still value. It's easy going it you just need a room to sleep. Gym and breakfast rooms are very small. Staff is very friendly but the reception is only open form 7 am till 8 pm. Location, Room Comfort, Front Desk Staff. Location of the hotel was superb. Walking distant to many restaurants, as well as close to the wharf area. It had the Coles shopping mart right behind the hotel (a block up actually. The Room Comfort was outstanding. It felt new, we believe because it was well taken care off. Front Desk Staff were friendly. Was really good. Would definitely come back again I am also going to look at the city appartments.